Our review: Aromas of gooseberry and lemongrass, together with very slight vegetal notes (asparagus) are exhibited by this light lemon yellow colored wine. Silky smooth on the palate, almost creamy, the fruit flavors are at first slighted muted before evolving into a mildly tart, but well balanced, flavor profile on the palate. The finish is quite long. Taste profile from the winemaker: "Intense aromas of grapefruit, citrus, kiwi and fresh cut grass greet the nose. As you drink, the crisp acidity gives the wine a fresh vibrant feel with flavors of grapefruit, lime zest and grass that closes with flavors of melon and a nice tart fi nish." 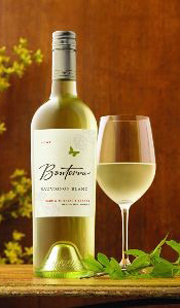 Sauvignon Blanc is one of the most reshering and vibrant wine wines I ever tasted.